@Stoney871 I forgot to have one for you, so I'll have to remember to have one tomorrow 😀 there's a pub less than 5 minutes away so shouldn't be too much of a hassle. [mention=28494]Stoney871[/mention] I forgot to have one for you, so I'll have to remember to have one tomorrow there's a pub less than 5 minutes away so shouldn't be too much of a hassle. That's two for me then? It is deeply refreshing with a slight tangy bite to it. 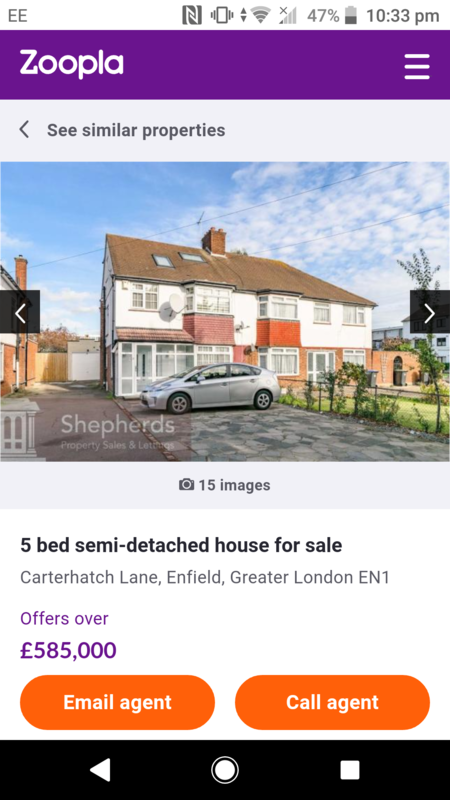 Don't know if this is a do or don't like but was looking on zoopla yesterday on house prices. Looked at some in an area I liked but they are really expensive some coming close to £1 million. One which got my attention is this one in another area. This one is a 5 bed semi detached house. What I like is the size, big driveway and garage on the side. Mortgage is £1800 for 30 years however and I just hope I get a good job after my education that I can afford it. Thinking I might save for a house first then save around £40k for a car so at least I have some investment in the car so if I do stay and pay mortgage for a house (other than renting) at least I have my car instead of taking home £500 a month (if I'm earning £2300) which now way I probably can afford a £30 - 40k car. 5 bedrooms...are you expecting a lot of kids lol? House prices, wages, mortgages etc could all change so much over the next few years it's difficult to plan long term right now. I really like that it's semi detached with a garage on the side and a big driveway. 5 bedrooms is a bonus 😂. Have no idea if I'll get married or how many kids ill have. Probably might be cheaper in your area or might have to see in the surrounding area if it's cheaper. 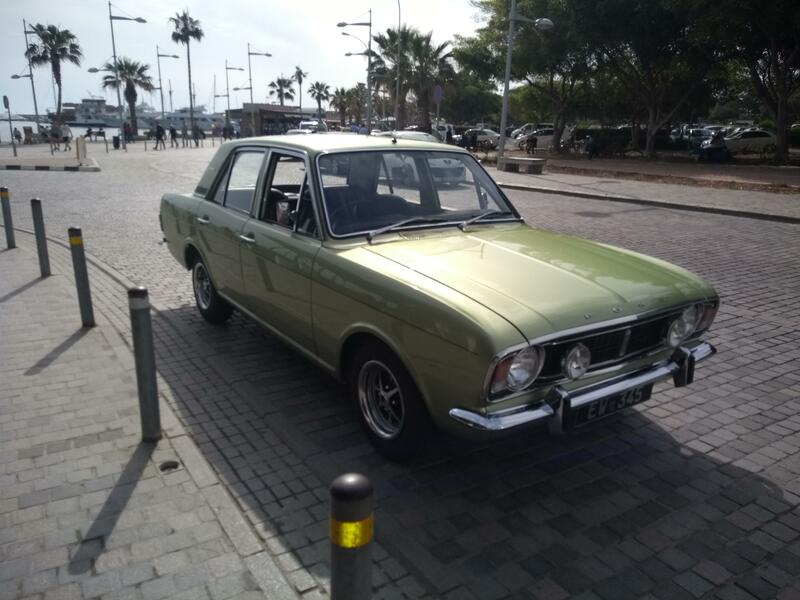 I do like seeing this gorgeous old Cortina today in Paphos 😎 by the look of it you could eat your dinner off the underside of it, spotless! I do like going to my local detailing shops Easter open day today saw some nice cars like the golf rallye. Very rare and must be expensive. I like seeing this on the M6 today! Not a huge JDM fan, but a pop up headlight NSX would do me nicely in my lottery win garage! You wouldnt have to worry about reliability issues since it's a Honda. 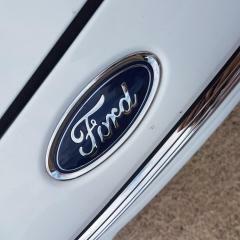 Best thing about some jap cars being sporty but retains the reliability. 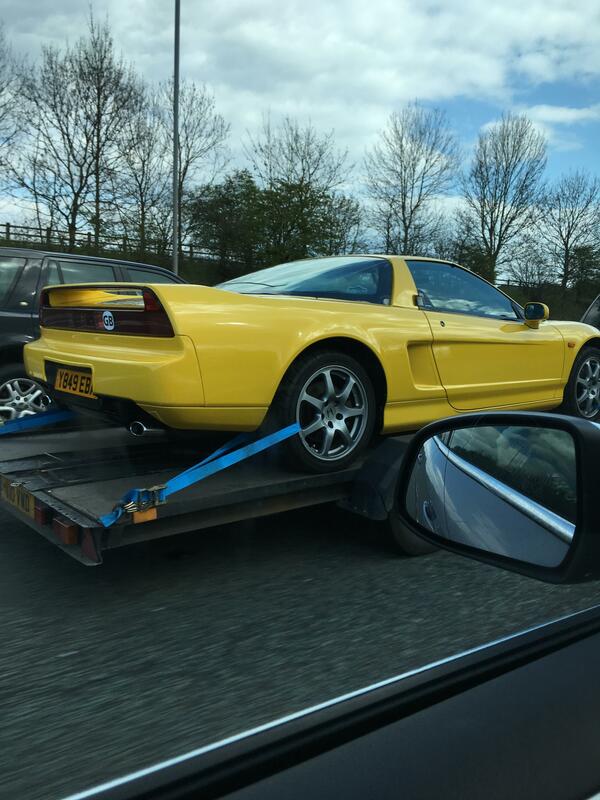 The other good thing about the NSX is it's aluminium body. Old Jap cars rust worse than Fords!! When I was about 6 and got my PS2 I remember playing gran turismo 3. Wasn't a great big fan as I didn't really understood the career mode back then. I played a lot of gt5 and wondering about getting the latest one. What I liked with gt5 was there was monthly events and you'd get nice rewards if you meet a certain criteria for example I remember one reward was a chrome gold paint option if you be first in a race. I've had Xboxes most of my life, so Forza 3 was the first real game I played. That's where I first fell in love with the MK2 ST, with that luscious 5 pot sound. I was 5 when GT4 cam out 😂! Forza really know how to pick the right cars in their games. 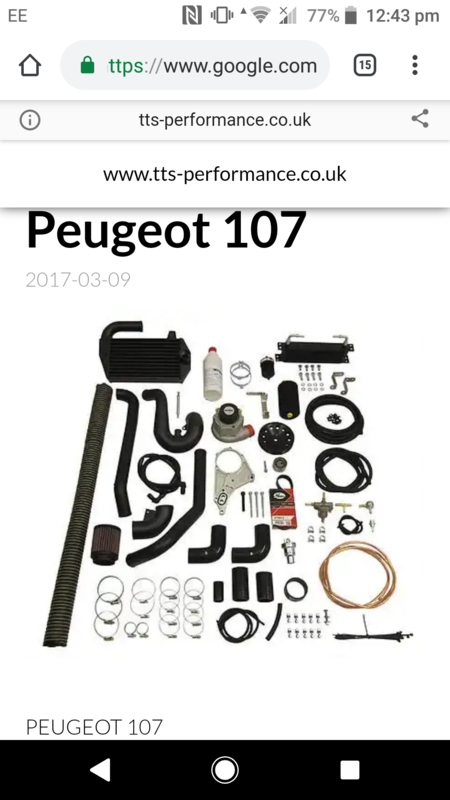 I think it's in Forza 4 they have Peugeot 107 which I previously used to have. It's cars like that which I like rather than just put in high performance cars. I remember the playstation one came out and it was like 40 pounds for a memory card just to save the level of the game. Im 34 now and have a PS4 which Santa brought me along with some Monster Energy drinks around five years ago. my own kids aged 12, 10 and 4 play GTA5 on under my supervision of course; they don't do the story line just drive around drifting and shoot things. They were only 1MB as well... And could save several different games on them! Had to upgrade to a massive 8MB card when I got the PS2! Would be fun to have something small and supercharged or turbo, I always wanted a Toyota Glanza which was a 1.3 turbocharged. My work mate has a twin turbo v8 M5 550bhp but drives a 1.0 litre yaris daily 😂 he drives if flat out daily 😂 passed damien in his 2.2 diesel Avensis; next day in canteen damien asks "what engine is in that yaris sean"
Sean says "a GTR engine from a skyline" I laughed and Damien says "ow right yeah" 😂 believed him and didnt understand why I was laughing atall.